Hi there again, now when you have reached the "alittle bit of everything it is soon coming to the end. But I will update now and then so please feel wellcome again. This is me, Jessica and I love all kind of animals. 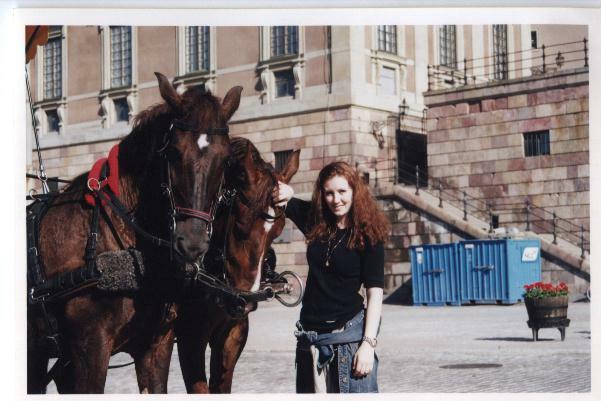 Here I am in Sweden outside the castle and they have this ride's with hourses and they ware so calm and gentel. Don't forget to sign our guestbook at "home", please. And at "cheetah's site you can vote if you like to. And you ca chata at "links to all..."with who ever is in.